Trying to write a decent review of this book without fizzing over with all the happiness it fills me with is basically impossible, jsyk. This book is a delight; the kind of book that can be read again and again without losing any of its magic. It’s just so wonderful ;______; This is literally the perfect book for when you’re feeling down, or when you just want to chill out or even if you’re feeling good and want a book that’s light and fun. Howl’s Moving Castle is all of those things! Note the enthusiasm here, people, I used an exclamation mark. SERIOUS BUSINESS. So the story begins in a small town called Market Chipping – we’re introduced to our protagonist, Sophie, who as the eldest of three sisters can never expect to live an exciting life. Sophie’s pretty resigned to this fate and watches as her sisters set out into the world, leaving her behind to make hats and be forever single. One day, mistaken for her sister by the Witch of the Waste, Sophie is put under a curse that turns her into an old woman. Realising that only magic can cure her, Sophie leaves her boring life behind and finds herself living as a cleaning woman in the notorious Wizard Howl’s Moving Castle. She meets a whole host of awesome characters, including Calcifer – a Fire Demon who lives in Howl’s fireplace – he’s the best, it is known. LOOK AT HOW CUTE HE IS, YOU GUYS. There is also ~romance~ and it is the greatest, you will ship it and you will cry. Howl and Sophie have the sweetest build-up that is impossible not to love. Their banter is wonderful to read because they’re totally different characters with any amount of opposing traits that clash all the time; as the novel progresses, the relationship is developed so naturally that every reveal feels perfect. Nothing is rushed because both characters have their own storylines and problems that need to be resolved. Every character in the book is entertaining and well-written but this is especially true with Howl and Sophie, our two main characters. Sophie is sassy, stubborn and brave and the author balances her two voices beautifully. Sophie as a young woman and Sophie as an old crone are almost two completely different characters but both are the greatest. Young Sophie, for example, is shy whereas Old Sophie, fully embracing all the best parts of growing old, is a bossy old woman who quickly takes charge of the castle. Howl is entirely unique – he’s vain, fussy, and prone to throwing temper tantrums that result in green slime spewing everywhere. It’s awesome. Despite being powerful, he is contrasted a lot with Sophie in the sense that she grows more courageous as the story progresses whereas he himself is a self-confessed coward. The perfect blend of personalities tbh. I also really enjoyed the prose – the writing is funny, the descriptions vivid and the dialogue endlessly entertaining. There is literally nothing I didn’t enjoy about this book tbh. Plus there is a marvellous movie based on the novel that you should also watch because perfection. 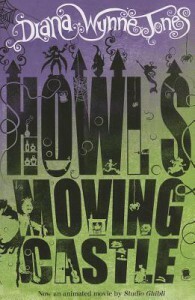 I LOVE that cover of Howl’s. So pretty! Calcifer! I love him so much. And Howl. And gah the shipping. Seriously, the movie is the best and the book is great too and I need to reread it and have all the feels. Calcifer is the best, I love him. I wasn’t expecting the book to be so amazing but it really was. I far preferred Howl/Sophie in the book than in the movie, there was more build-up and Sophie was more entertaining. I am so ashamed but I’ve not read the book or seen the movie! I really need to fix this. I hear such amazing things yet I’ve just not made the time. This is a wonderful reminder to make it more of a priority. I convinced you to read it? W1NN1NG. YES yes yes! You have read Diana Wynne Jones and loved it! You need to read all of her books! They are so incredibly smart and wonderful and.. Sorry, I have a huge crush on her as an author. I want to read this sooo bad. I have been waiting to see the movie until I read it! 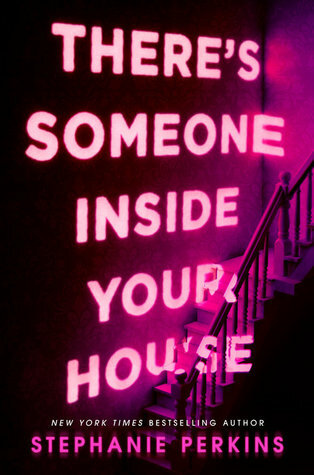 I’ve had this on my nook for a while now but after reading your review, I MUST READ IT NOW!! I’ve never read the book or seen the movie! *cowers* I’m kind of ashamed, great review! This has been my favorite book since I was little and I think your review really does it justice. It’s such a marvelous, magical, whimsical read! I haven’t seen the movie yet, but it’s on my list. Also, love this cover! My copy is a much older one. I really need to read this book. I’ve read only one of Wynne Jones’ books so far, and it left me a little underwhelmed, to be honest. BUT I love the Miyazaki film based on this novel, so that’s already one indication that I’ll enjoy this book. I also really like how it sounds as though Wynne Jones subverts many traditional fantasy tropes, such as the male being the vain one, the eldest daughter having the worst fortune, etc. It sounds lovely. Wonderful review! I don’t think it’s possible to LOVE Howl or this book more than I already do. I’m DYING to re-read it now. I did actually look for it in my local bookstore recently and they didn’t have it? What is wrong with them? !